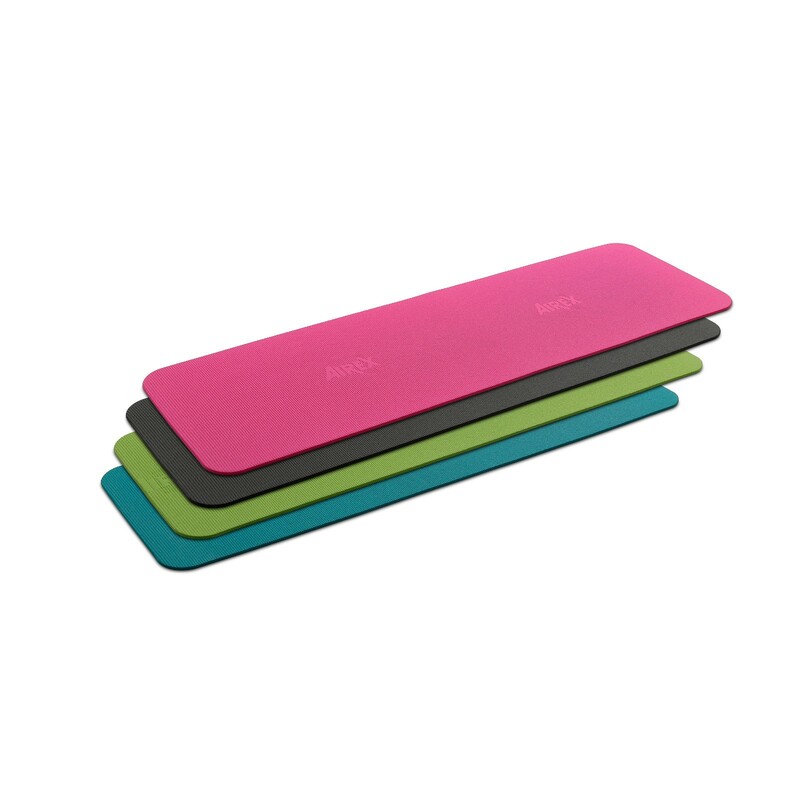 Comfortable, fundtional, and hygienic - the AIREX exercise mat Fitline 140 convinces by its excellent quality and is available in three new great trend colours which are kiwi, slate, and pink. The new mat generation is characterized by an improved hygienic protection and an increased durability. The hard-wearing material is supporting, warm, soft, and absorbing. Thanks to these features, joints, tendons, and muscles are extremely gently and efficiently exercised. Either pilates, yoga, gymnastics, or dumbbell training - the AIREX exercise mat Fitline 140 is of varied use and is suitable for gyms and club sport as well as homeuse. It is also good for versatile plays in the water, therapy, and swimming exercises. The AIREX exercise mat Fitline 140 is light, handy, and can be rolled up in a space-saving way.